The perfect biscotti texture reminiscent of those beloved Biscoff cookies found on Delta airline flights, these cookies had us all reaching for more. Preheat oven to 350 degrees F. Line two baking sheets with parchment paper or a silicone mat. In a large mixing bowl or the bowl of a stand mixer, beat together the eggs, 1 egg yolk and 1 cup granulated sugar until well mixed. Add 3/4 cup + 2 Tbs (or a scant 1 cup for easier measuring) Biscoff Spread and mix well. Gently stir in flours, salt and baking powder. Divide dough into 3 equal portions and form into three 10 to 12-inch logs on the prepared baking sheets. Brush logs with remaining egg white and sprinkle with 1 tablespoon raw sugar. Bake for 25 minutes, rotating baking sheet once after 15 minutes to ensure even baking. Remove the biscotti from the oven and allow to cool for 10 minutes. Using a serrated knife, cut the logs into 1/2-inch (or slightly smaller if desired) slices. Transfer the cookies back to the prepared baking sheet and stand them up... sort of like cutting the log into slices, then just spreading out the slices, but not laying them on their side. Reduce the oven temperature to 300º and bake the biscotti for another 15 to 20 minutes. Remove from the oven and remove the biscotti onto a wire rack for cooling. Note that the cookies will crisp as they cool. Store in an airtight container for up to a week... though I can can vouch that our were tasty even longer than that. I hope you're finally feeling better, Kim! 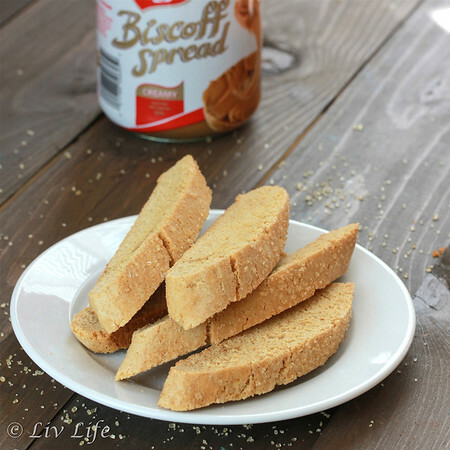 I love biscotti and sometimes a mild flavor with a cup of tea is exactly what I'm craving. YUM! This would be perfect for my morning cup of coffee or tea! I think it might be worth getting sick to be able to sip tea and nibble on these treats! Hope you're feeling better! It's so hard with mommy is sick - hope you get all better soon Kim. I'm sure your kids appreciate all that you do when you are well. One of my go to biscotti recipes is actually yours... you shared a recipe for lemon biscotti a couple of years ago and I just love it! OH, Kim...this looks wonderful! 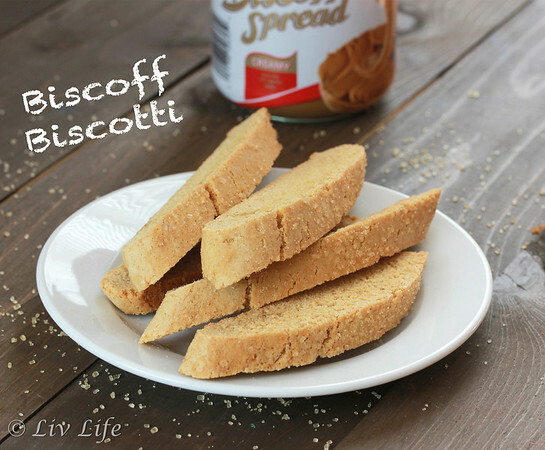 I absolutely adore biscotti, and just so happen to have a brand new jar of both Biscoff and Cookie Butter! Pinning to my Biscotti Board! I hope Liv is feeling better today! I liked the DC shirt she had on in her photo! :) Have a beautiful Mother's Day, because you certainly are a wonderful Mother!!! This is when it's hard being on the other side of the globe, Kim. 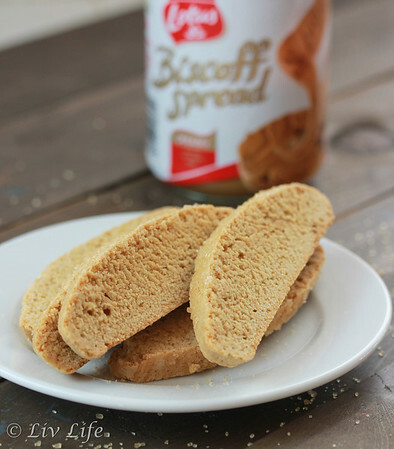 For a start we don't get biscoff spread, lol, but more importantly, I'd have loved to drop off some homemade goodies to help you recover quickly. I totally identify with you. For the first time in 8 yrs, I was in bed with a flu bug for a week and took me 3 weeks to recover! Yuk. Luckily your family are cool and looked after themselves at least! We're just back from Scotland and now my daughter has the sniffles this morning. Oh oh. Hope Liv on the mend, too, and that all have had their dose for the next couple of years! 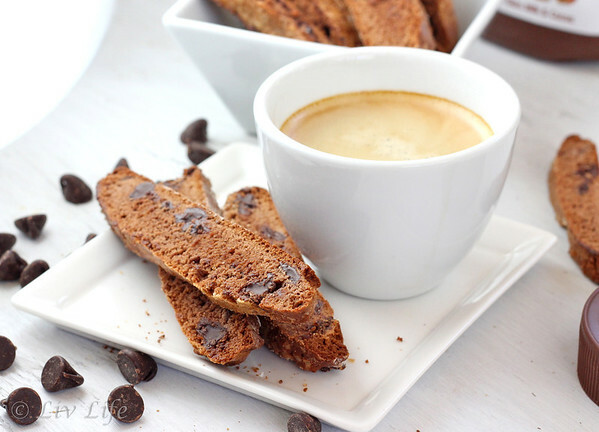 Cheers with a mug of coffee with these delicious biscotti of yours.